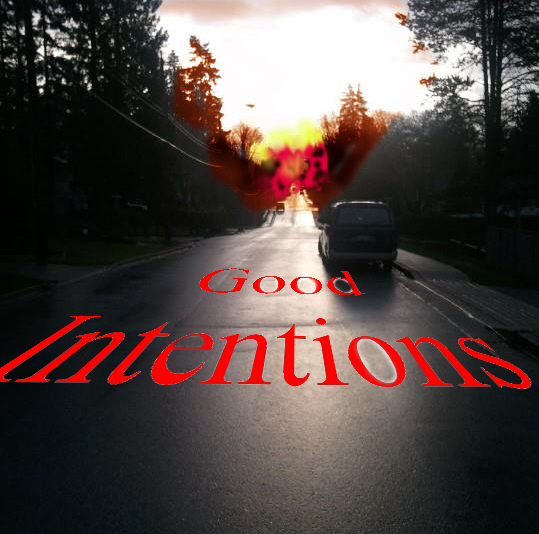 Paving the way with good intentions | Damian Trasler's Secret Blog - Do Not Read! This blog can get a little repetitive. Here comes another post about entering the employment market…..
Life used to be about careers. You’d learn a wide variety of stuff in school, go on to specialise in college, or get an apprenticeship. Then you’d take on the first job, and work your way up. Anyway, I’ve mentioned before that careers don’t seem to be my thing. The companies I join have a nasty habit of losing their franchises, shutting down, or even burning to the ground (though in my defence, that’s only happened once and I was a long way away. With witnesses and everything.) As some of you will know, my latest company has recently ceased to be, and now the wrapping up is done, I’m out in the real world again. I did what I usually do when the hammer falls, I went out looking (somewhat reluctantly) for other positions. I’m not highly qualified, and I don’t have a great deal of useful experience, expecially over here in Canada, since I’ve only had the two jobs in three years. I was looking for work to match my responsibilities, so something from 9am to 2pm would be fine, because I have the school run to do, and the kids do activities outside school hours. As usual, there weren’t hundreds of opportunities out there. But then Mrs Dim made a brave suggestion. She said if I did get another job, I’d likely be starting it in May or June, and that’s right on the edge of the school holidays. What use would I be starting a new job with no holiday time built up, just when the kids were going to be slobbing around the house needing some adult supervision? Why not, she said, take the hit on my salary, admit I wasn’t going back to work until September and work on my writing projects in between? It was a brave suggestion because it’s Mrs Dim who makes all the numbers dance in our household accounts, and me not being at work would mean smaller numbers for her. On the other hand, I hadn’t actually improved the income from my writing in the last year, and this was an opportunity to produce some new material and raise that number a bit. Plus, if I was around in the summer, we wouldn’t be spending so much on camps to keep the kids supervised. So it’s a different kind of adventure for a while. I have to be more businesslike and organised about my writing, and I have to keep my eyes open for new work opportunities that may occur. I have to remember my jobs around the house and not let them slide because I’ve got stuck at the keyboard, and I have to limit my social media interaction, because after a while it’s not networking, it’s procrastination. I’m glad I found a wife who is brave enough to give me this time, and I hope I don’t let her down. This entry was posted in Emigrating with Weasels, Uncategorized, Writing and tagged Damian Trasler, job hunting, Mrs Dim, unemployment, wife, working, writing. Bookmark the permalink. That’s awesome! I’ve always wondered if I’d have the discipline to take a few months off and focus on writing. Let us know how it goes! Be careful what you wish for Sarah! You may get daily updates so I have an excuse to cruise G+!